Targa Tasmania will certainly keep the revheads happy. Are you are a car racing enthusiast? Targa Tasmania, a tarmac-based rally will be right up your alley. 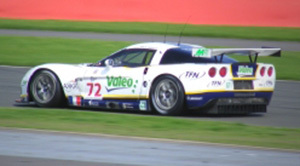 It is held annually, on closed roads, for the best touring, sports and GT cars in the world. For owners of such cars, this is a unique opportunity to drive these cars the way they were designed to be driven. The event is conducted over six days on 2,000 kilometres of tarmac roads. An international motoring Classic, it is no wonder that Targa attracts an estimated international viewing audience of just under half a million.